Its interesting to see the derivation of the name, i’d not wondered where it came from. I gather ‘Soap Box Derbys’ were (are?) a big thing in the US. Key ‘Soap Box Derby’ into the primotipo search engine too see a quickie article I did a couple of years ago. As a kid I cannot tell you the untold hours and fun we local kids had particularly during school holidays in building billy-carts and running them down the local streets with the steepest hills- sourcing ball-bearings from the local ‘servos’ (car service stations or garages) and all the rest. My mum has a gazillion shots of us as kids but none of the ‘carts sadly! No. The “go cart” term was used for a baby buggy in the early 20th century. 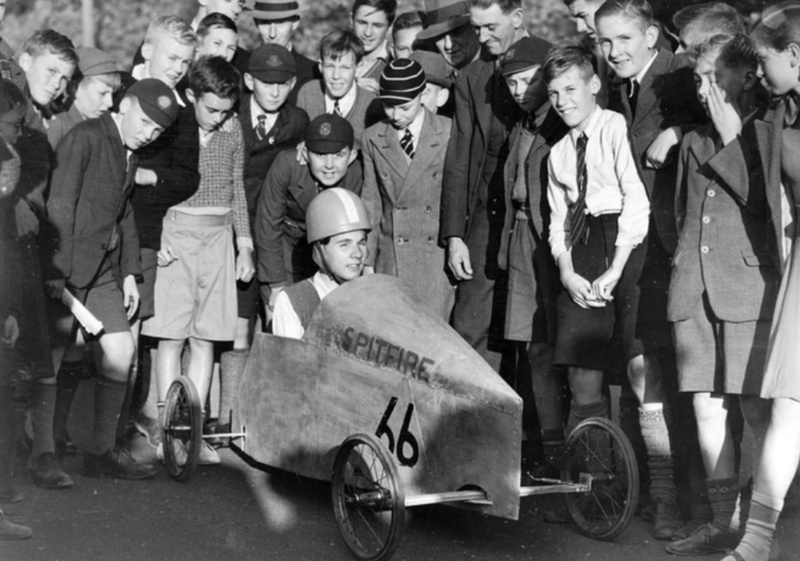 The guys who called their racing kart a “Go Kart” (trademarked) in the late 50s probably didn’t even know that. Yes, I was suspicious of that, too!